The aim of KoresponDance Europe is is the systematic support of professional artistic development in the dance field, with an emphasis on choreographic creation. For young artists, KoresponDance Europe presents a source of professional support. For the public, it presents an opportunity to glimpse the world of choreography through a commentated Master Class and discussion with choreographers, and through „work in progress.“ KoresponDance Europe above all attempts to connect knowledge and experience of countries which have several years of development behind them in the field of contemporary dance (France, Germany ), with countries which, thanks to still being young in the field (CZ, SK), bring their young enthusiasm and joy in making work, to their cooperation with older colleagues. courses, workshops for choreographers and dance professionals: 2 coaching workshops in Prague, 1 workshop in dramaturgy in Bremen, 1 workshop in new technology for choreographers in Bratislava and 1 workshop for assistents in Paris. In the course of these 2 years approximately 250 - 300 places will be offered to young artists, to allow them to cooperate both with each other and with renowned and experienced artists. 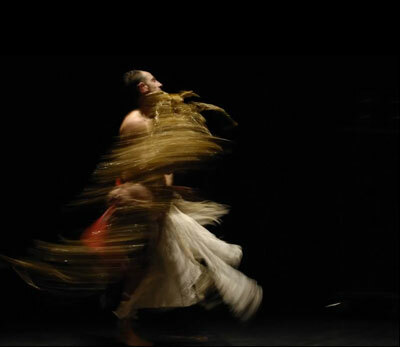 Four European organisations are cooperating on the KoresponDance Europe project: the Parisian festival Jamais Vu / Theatre le Colombier (France), A.S.T. (Asociácia súčasného tanca / Slovakia), Steptext dance project (Bremen, Germany) a SE.S.TA (Setkávání současného tance / Czech Republic). Through the association SE.S.TA, the Czech Republic has become the project organiser.